In the age of “Trumpism,” many in the black community have found themselves more politically aware, and more specifically, increasingly at-odds with the politics of this country. There’s been an even greater disdain and distrust of the government. In this post-Obama climate, some in our community hope that their sudden political awakening due to the election of Donald Trump will lead to a drastic political change that could foster an impeachment of the president. While others, have abandoned voting and political involvement altogether to focus on improving our community directly rather than relying on an ever-disappointing political structure to do so. Regardless of the response though, both are understandable reactions to a disheartening presidential election. But my disappointment with politics came long before January 1st, 2017. The results of the November 2014 midterm elections were not only a major disappointment but an important wakeup call. Throughout my college and graduate school years, I had worked diligently as a young politico. 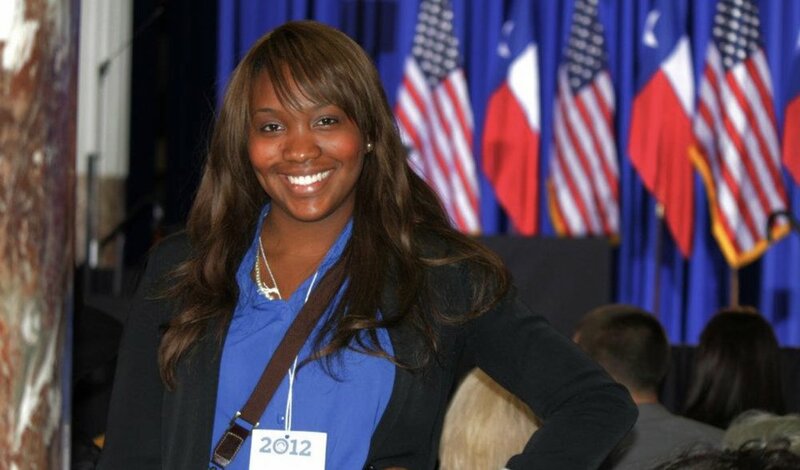 I worked on President Obama’s campaign and as a field organizer for the Texas League of Young Voters, both of which helped me define my voice and place in community activism and social justice. But it was my time spent as a volunteer for the 2014 Texas Gubernatorial Democratic Campaign that opened my eyes. From the victory of Governor Greg Abbott to the Republican Party taking the United States Senate majority and increasing their majority in the House of Representatives, this was a huge blow for all democratic campaign workers. But the ultimate disappointment was reserved for black democrats. That’s why I know that we have a lot of work to do in our party. It’s time to start a new movement of Democrats whose passion is to fight for “hard-working people”. Because, if we are to prevail against those who are dragging our people down, we have to rid ourselves of these elites who’s out of touch ideology and corrupt tactics have infected our party. And they sure don’t seem to care much about us. Critics argued that Alameel’s comments were a result of personal conflicts that occurred during his campaign, while others maintained that his comments were valid as they were in response to years of neglect and broken promises from democrats. Although a party that once did not even allow blacks to join, blacks have traditionally supported the Democratic Party since President Franklin Delano Roosevelt’s era. But when public schools are still unequal, voter identification laws are being passed to disenfranchise our communities, black people are still being unfairly targeted in the criminal justice system and are being punished for standing up for their rights, poverty levels are rising, and there is a growing number of Philando Castiles and Alton Sterlings, should we continue to be loyal to a party that is not always loyal to us? A party that makes promises on the campaign trail to gain votes but rarely upholds these promises after black people have gone out to the polls to put these candidates in office? It’s one thing to try and fail, but are these politicians even trying to fight for us? The Democratic Party needs the black vote to win elections. But are we simply being used to fuel political gains or is the change finally going to come for us? Are our issues truly at the forefront or is it all just politics? Yes, voters have to remain engaged regardless of which party has the majority and which president is in office, but what are people to do when it appears as though their own party is not fighting for them? Perhaps Alameel said it best, “[B]ut, the way they (blacks and Latinos) see it, when Democrats win they never gain anything, so why should they bother to get out and vote for Democrats”? And in the age of 45, it is even more important for Democratic leaders to be taking a stand, not just on camera, but in the office. Blacks rallied behind President Obama because they supported him, not necessarily the party as a whole. They believed in his promise and wanted to be a part of his history-making election, despite previous dissatisfaction with the Democratic Party. Some of the 2014 midterm democratic campaigns relied on the grassroots fieldwork and enthused hope of making history that got President Obama elected without taking into account the fact that their campaigns did not hold the same gravity as his. They were on the bandwagon and didn’t want to do the work. In addition to this, much of the momentum had declined after Obama’s second victory as many of these organizations failed to keep black people, especially young black people, engaged. They instead chose to rely on a few months of campaigning to mobilize people. Going out into black communities a couple of times, three weeks, before an election was not acceptable. Even if they shared some democratic ideologies, even if the candidate was black, even if they voted for President Obama, this was not going to get them to the polls, especially not during a midterm election, which historically have lower voter turnouts nationwide. Yet candidates, organizers, and volunteers who cared were few in number to those pursuing selfish political careers with no regard to their constituents. Elected officials like this can be seen in all political parties but can have especially detrimental consequences for those who are already marginalized. Furthermore, talking to black voters mostly about abortion rights although very important, was not going to increase voter turnout when many of them are still fighting to survive in communities plagued with unemployment, underfunded and unequal schools, police brutality, and are working to overcome institutional racism that continues to rear its ugly head in almost every aspect of black life. These lackluster attempts revealed a disappointing contradiction: the black community only mattered for our numbers because the Black Vote is necessary to win a democratic election, but we were also an afterthought because the party assumed our vote was guaranteed even though it almost completed neglected the issues that mattered most to us on the campaign trail. Not only did the party not give our communities the same amount of effort it gave to other communities, the party practically assumed we were gullible. The election results proved that. And I knew at this moment in 2014, regardless of how aligned I was with democratic values; I could no longer be a democrat. This party owes it to black voters to show that we are much more than numbers, but that are interests, progress, and well being actually matter. Black democrats need to demand that they are being represented. Perhaps Trumpism will finally push the party to reflect, improve, and ensure that even though democrats may no longer have a stronghold in Congress or in the White House, the voices of black democrats are not going unheard and that previous advancements do not go in vain. But until this is done, the Democratic Party does not deserve the Black Vote. Voting and political engagement is necessary but now more than ever; it is critical to be particular about who and what we vote for. On the next Election Day, ask yourself, does this party deserve my straight-ticket vote? What has this candidate really done for our community? Be proactive. Do your research. Be an informed voter. I found Africa. She’s in Colombia.